SPIRAC’s sliding frame silo systems complement our spiral conveyor live bottom expertise and expand our experience and competence in offering sludge storage solutions in the water and wastewater industries as well as various industrial applications. What is a sliding frame outloading System? 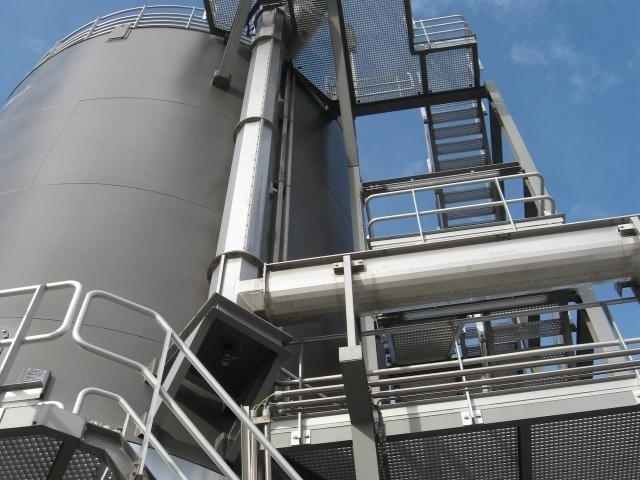 A sliding frame is an extremely efficient extraction system that allows non-free flowing materials to be discharged from a flat bottom silo or receival bunker. These bulk materials can easily block the bottom of a silo by forming a bridge of material. 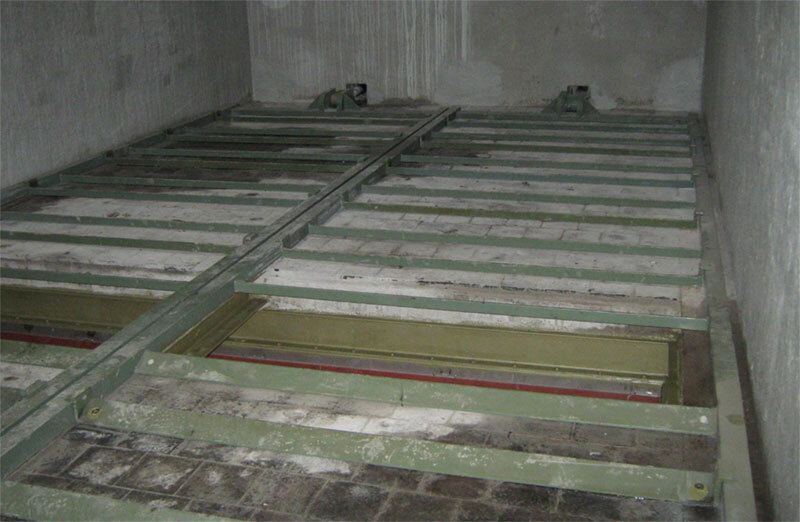 The action of the hydraulically driven sliding frame breaks any bridges that may form over the extraction screw and pushes/pulls the material toward the centre of the silo for discharge. Round silos – The sliding frame is built as an elliptical frame, made of solid steel bars profiled to a wedge shape. 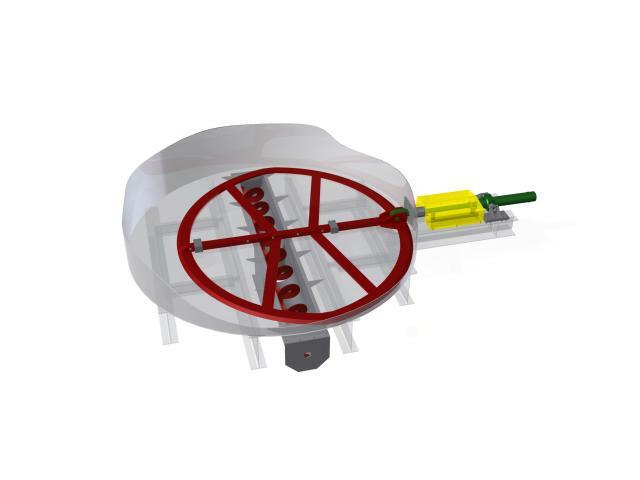 This elliptical framework with its wedge profile, pushes under the sludge in one direction and draws it toward the discharge opening in the other, thereby allowing near total emptying of a flat bottom silo. Rectangular silos – the sliding frame is constructed as a rectangular “ladder” shape, transferring material from one wedge shaped “step” of the “ladder” to the next as it oscillates back and forth. 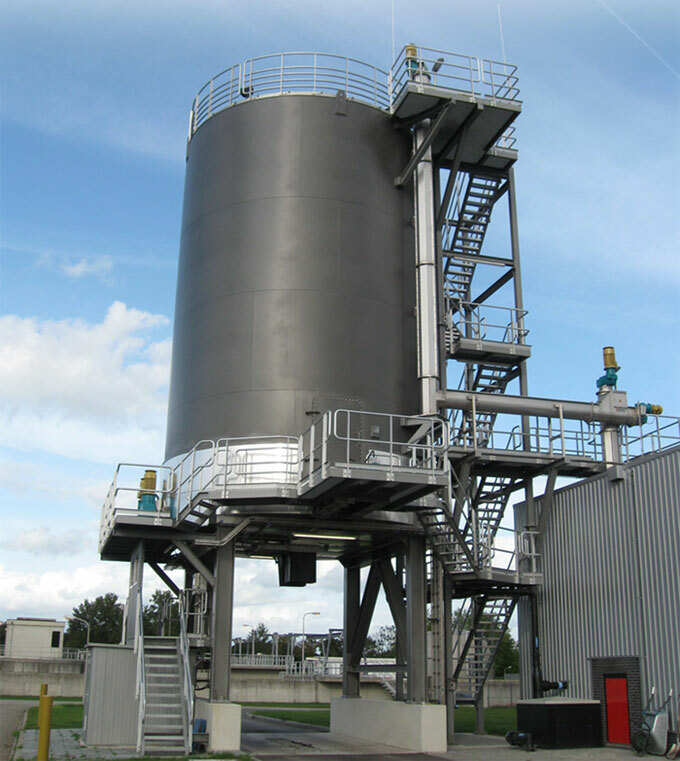 This design is suitable for steel or concrete silos or bunkers. Round and rectangular sliding-frame outloading capacity up to 250m3/h (0-325yd3/h). High out loading rates via multiple shaftless screws, which are manufactured from very durable & abrasion resistant; high tensile micro-alloy steel. Allows for vertical walls and cylindrical silo construction, optimizing volume utilization with capability of reducing height or footprint. Can be applied to rectangular silos, concrete bunkers and truck receival bunkers. Even load distribution along full the length of the silo / hopper. Minimal ongoing maintenance over the life of the equipment. Efficient handling of sticky or fibrous inconsistent materials. Low maintenance, no service parts inside of silo. Modular system reduces site installation time. 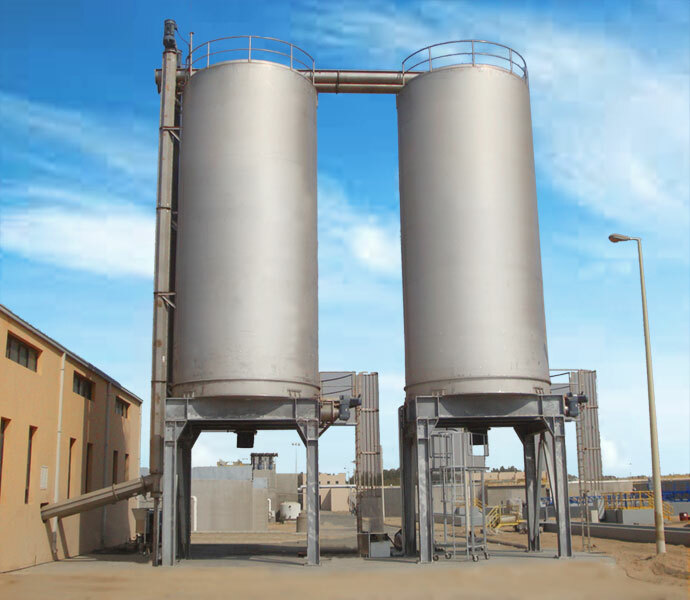 Flat bottom silos are economical to manufacture. Flat bottom silos maximize storage capacity for a given footprint and height.